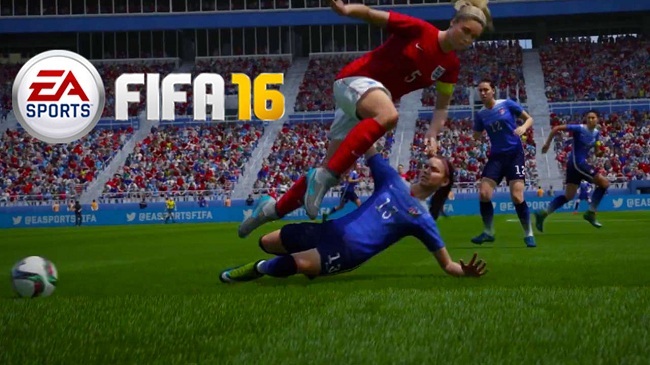 FIFA 16 FUT tips, trading, how to get more FIFA coins, manage managers and contracts. It’s that time of the year again when you can start building your team from scratch and not repeat the mistakes that you made last year. If this is your first time with FIFA Ultimate Team, you’ll find everything that you need to know from hiring managers to buying contracts – we’ve got you covered! After firing up the game mode, the first thing you’ll be required to do is to decide your club’s name and abbreviation or go with the pre-existing one [only for returning players]. Although it may seem like a normal step, once selected, you won’t be able to change the name again without a specific item from the EASFC catalogue and other conditions. Therefore, it’s a good idea to spend a couple of minutes before choosing the name and abbreviation of your club. After you’ve successfully named your club, you’ll get a Starter Pack consisting of 34 cards; 3 silver, 2 gold, and the rest bronze. In addition to player cards, you’ll also get club item cards to get you started: stadium, ball, badge, and home/away kits. However, one thing to note here is that the Starter Pack cards are untradeable. At this point, you need to ensure that you don’t jump the gun and start playing because after a couple of games, you’ll have no coins to buy contracts and your progress will be halted. In order to acquire coins, you need to convert everything at your disposal into coins. You need to sell every card that you got and start your entire team from ground up. Another thing that you can do in order to earn more coins is to exchange your credits for coin boost at EASFC catalogue. You need to ensure that you’ve the coin boost activated during your first match which will net your sufficient resources to handle your club. You can also buy the DeLuxe, Super DeLuxe Editions, or subscribing to EA Access to get gold packs every month, but that’s entirely up to you. Lastly, you can also complete things such as Manager Tasks which will get you a free gold pack, but do note that you won’t be able to sell them. If there is one thing that you should never stop doing in FUT, it’s trading. But you need to ensure that you don’t invest everything at your disposal and put aside something for the bad times. The basic rule behind trading is to study the prices carefully, buy at a lower price, and sell at a higher one. Near the game’s release, it’ll be difficult to find good deals because the market is scarce at the moment. You’ll also come across players like Ronaldo and Messi being sold at a higher price than usual. If you’re lucky enough to get these cards, don’t sell them immediately! Wait for a while and their prices will go sky-high. You should target something between 30% to 50% for your initial investment and gather at least 25,000 coins before moving to other things. Once again, do note that you should never stop trading in the game, no matter how rich you’ve become. Once you’ve gathered enough coins, you should consider hiring managers. These are consumable cards, extremely expensive, amazing investment, and you’re forced to buy them in order to play matches. Moreover, every gold manager in the game adds 1% percentage on all contracts – rare-gold adds 3%. You need to hire managers in a way that the total sum of your percentage is 50%. This basically means that the number of games while applying a contract card to a player will add 50%. This is an important step which will ensure that you’re able to sustain your club in the long run. While hiring managers, the only thing that you need to bear in mind is to reach the 50% as cheapest as possible. Like I’ve mentioned in the trading section of the guide, you need to wait until the market is stabilized before making purchases and don’t jump right in at the game’s release date. You need to buy contract cards as soon as possible. If you’ve bought the contract cards, you’ll be able to put a player in the bench or in the reserve following an injury or anything like that. However, if you haven’t bought contract cards, you’ll have to apply an Injury Card or a Fitness Card. This also works well when you’ve the 50% bonus discussed in the earlier section. Using both the things strategically, you’ll automatically carry your team without putting in a lot of effort. With everything said and done, one of the most important things to consider while building your team is chemistry between the players. You should prefer players who share the same nationality or at least play in the same league or club. Chemistry isn’t everything though! You need to choose players who complement your playstyle and not just go with the ratings. What good is 90 rating if you’re unable to utilize your players’ unique attributes – strengths and weaknesses. Consider your unique playstyle in mind, analyze each stat carefully, and then formulate your team which will serve you well. If you’ve some spare coins at your disposal, consider investing in reserves and substitute. Finally, consider it as a building which you need to build stone after stone in a slow, but steady manner. Now that you’ve figured out everything, you can start playing. However, bear in mind to start off with easier games, play with untradeable cards, and also try to take players on loan. By doing so, you’ll get time and coins to start building your team. Lastly, do note that you should never forfeit no matter what. If you forfeit, however, your %DNF will drop from 1.00 which will reduce the amount of coins you get at the end of a game.